Wednesday and Friday 3 p.m. - 6 p.m. The Brahms Institute in the Luebeck Conservatory houses one of the largest and most versatile Brahms collections in the world. In addition to Johannes Brahms, the emphases are focused on Robert and Clara Schumann, Theodor Kirchner, and Joseph Joachim, as well as on the musical historic environment. The inventory includes primarily sources of musical works: precious manuscripts, engraved copies, first and early editions. Added to this are voluminous stationary, numerous contemporary photos, illustrations, and drawings, as well as unique omnibus volumes with program notes for important world premiers, first and subsequent performances of Brahms's works. 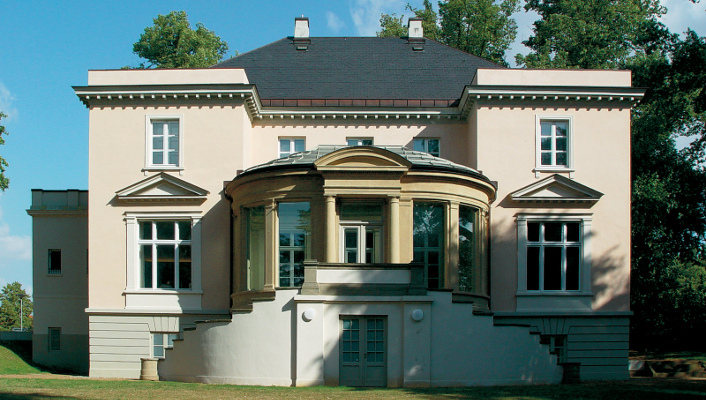 The Institute is situated in the prestigious Eschenburg Villa. The magnificently restored festival room provides the stylish setting for concerts, theme nights, lectures, and presentations. In the similarly historic garden hall of the Villa, an exhibition room has been created, which vividly portrays the life and work of Johannes Brahms. 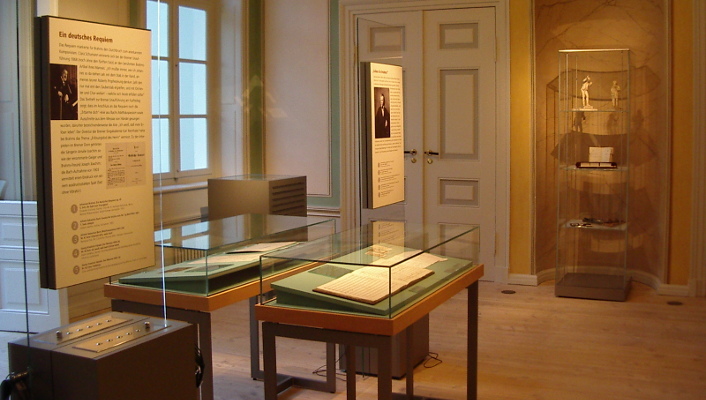 The permanent exhibition “Johannes Brahms – Symbols, Illustrations, Fantasies” as well as regular, theme-related special exhibitions, precious and partially unpublished music manuscripts, photos, letters, concert programs, and other treasures. Listening stations offer the opportunity to hear music related to the exhibit.